What is an Intellectual Property Agreement? Intellectual property agreements are necessary to obtain and maintain complete control over a trademark or brand. IP Agreements are also used when transferring the intellectual property to a new owner. These are also needed to give consent to another entity wishing to use a similar trademark or brand. We provide clients with professional trademark search and application services. Flat Fee Trademark prepare a wide range of IP Agreements sometimes necessary to obtain and maintain control over a brand. Other legal measures could be required to safeguard your brand when registering a trademark or a trademark is registered,. This also applies for maintaining trademark rights or allowing others to use your registered mark or intellectual property. Many of these trademark services fall under the realm of Intellectual Property Agreements. These may be additional filings with the U.S. Patent and Trademark Office (USPTO) to maintain your registration. 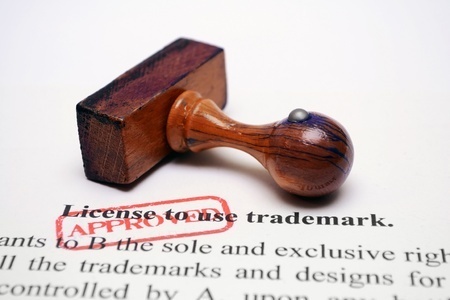 You may also need to file a Trademark Assignment if you sell, transfer or otherwise assign your registered trademark to another person or entity. The registration remains valid, but the trademark assignment will change the owner listed in the federal registration. A Trademark Consent Agreement is another Intellectual Property Agreement that may be needed or be asked to sign off on, If there is a third-party using a trademark name that is similar to yours, this third-party may ask for your consent to allow registration of their trademark at the USPTO. Requesting permission or consent, may point out all the reasons why a mark does not infringe on another mark. This would also prevent any consumer confusion in the marketplace. Both marks are allowed to co-exist with a possible offer of monetary compensation for allowing a mark to register. Trademark Consent Agreements (also referred to as Consent to Register) go hand-in-hand with Co-Existence Agreements and Concurrent Use Agreements. These are agreements whereby both parties agree to concurrent, or parallel, use of the same or similar trademark. This agreement is with the understanding that they are separate and distinct users. Each will undertake all reasonable and necessary action to avoid any instances of confusion between the two marks. Intellectual Property Agreements may involve the authorized use of your mark by others. This gives permission to use your mark. Perhaps you are licensing your trademark name for a joint collaboration, so you may enter into a licensing arrangement for a specially created line of goods or services between two or more brands – Balmain and H&M, or Lilly Pulitzer for Target – for example. In addition to, or as part of a Trademark Licensing agreement, you may also need a Royalty Agreement. This sets forth the terms and conditions of compensation for using or licensing the registered trademark. Finally, another important Intellectual Property Agreement that gets very little attention is a Trade Secrets Agreement. Clients often ask what they can do to protect certain aspects of their business that is not subject to the three most common types of intellectual property registration – trademarks, patents and copyright. One option to protect intangible business assets like know-how, methodology, recipes or processes may be through a Trade Secret Agreement. This may be part of a larger agreement, like an employment contract, independent contractor agreement or confidentiality agreement. This effectively identifies the intangible assets, trade secrets. This IP agreement forbids the third-parties with whom they are shared, from using, disclosing or otherwise exploiting for gain. Our Flat Fee Trademark attorneys have years of experience assisting clients with trademark services such as trademark search and registration. We also help with more complex trademark matters and intellectual property agreements. Please contact us for a free consultation with a trademark attorney to discuss your specific legal concerns, (800) 769-7790. The entire process was seamless. It was easy to purchase, service was swift and all questions answered in a prompt time frame. I appreciated their advice. I have a busy life so having a stress-free process was priceless. Beyond pleased with the investment. This has been one of the most professional experiences I’ve ever encountered in my 10 years of being in business. I was confident in your work, timing, responses and ability to get the job done with positive results at an affordable rate. Well done. I am proud and grateful to now have such an important piece of my company secured. The Brand.